It is a whole grain, easily grown in substantial quantities. It contains the roughage often removed from processed grains. It also contains the same rich protein (though low in lysine, see “complimentary protein”), B complex vitamins and vitamin E of all whole grains. It is a live food, and sustains itself quite well for long storage periods. It is embarrassingly inexpensive, especially when bought in bulk (I typically buy a 40 pound bag at a time). I immediately house it in large air-tight containers such as gallon milk jugs, etc. 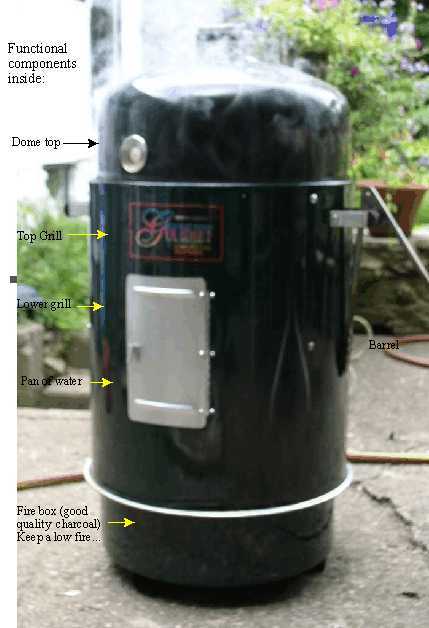 Air-tight is extremely important so that the kernels do not lose moisture and therefore popping ability. It is DELICIOUS as well as nutritious. And now, it is SO easy to whip up a bowlful in five minute any or every evening you desire. It contains artificial flavoring (notably diacetyl: so-called “butter-flavor… This is associated with popcorn workers lung disease) and artificial colors. It contains much more salt than one might desire (200-355 mg/bag), and you cannot control the quantity. It generates waste in the form of an oily heavy bag which remains after you have made it. I am delighted to have devised the following “appropriate technology” for making microwave popcorn at home and believe that many will find it useful. What do you think? Measure out 1/3rd cup unpopped corn. It is convenient, if you store your unpopped corn in a Mason jar, to use the lid as a measurer which equals close to 1/3rd cup. Pour the corn into the bag. Fold over the double fold, and press down the masking tape to secure. Lie the prepared bag in the microwave. Shake the bag to evenly distribute the corn in a monolayer to ensure even heating. After the popping has ceased to less than a pop per second, remove the filled bag from the microwave. Apply the oil by squirting as you turn the bowl and toss the corn to evenly coat the popped corn. Serve up the corn in 12-16 ounce cups. The whole process takes less than five minutes. YUM! Fruit is particularly amenable to canning because of the acid it contains. Further, sugar added in high concentration is a very good preservative. I add high amounts of sugar up front which minimizes the boiling step (many recipes call for extended boiling to reduce the volume). This shortened boiling preserves the flavor compared to “reduction” boiling. I have used this procedure with great success with other fruits. They all contain between 84% and 90% water. Those with higher water content may require slight adjustment of the sugar (step 10). Water content, according to the Composition of Foods: Red raspberries 84%, strawberries 90%, peaches 89% and apricots 85%. If the fruit you are using is higher than most in water, you may have to increase the amount of sugar to compensate. Pick a pint of fresh berries, fully ripened. 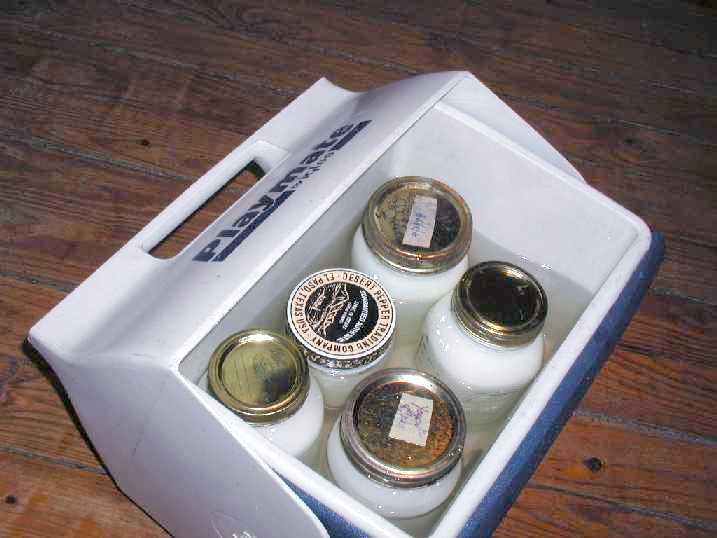 Place the Mason jars with lids and rims in a gallon pot. Add an inch of water to the bottom, cover securely, bring to a boil for 10 minutes. Pour the berries into a quart pot. Measure an equal volume of granulated sugar to the berries you have (one pint in this case). Pour the sugar over the berries. With a stiff whisk, thoroughly mix the sugar into the berries. Stir into the corners of the pot to wet any pockets of sugar hiding there. The mixing should draw out juice so that the entire mixture becomes wet. Place the stirred mixture of sugar and berries on the stove, add a thermometer and apply medium heat with stirring. Bring the mixture to a boil. Reduce the heat and heat until the “oily” liquid rises to near the top of the pot. DO NOT BOIL OVER! The temperature should be 104 C if the proportions of sugar and berries was correct. If the temperature is less than 104 C, you may add sugar tablespoon by tablespoon full until it does boil at 104 C. Be aware that boiling sugar solutions will burn you quickly and seriously! CAUTION: BOILING HOT JAM! : With great care (again, this boiling mixture can burn the heck out of you!) pour the boiling hot mixture into the sterilized jars. A canning funnel (not used here) makes for less mess. My canning funnel is aluminum, and because of the acid of the jam, I choose not to use it. Immediately cover the boiling hot jam with a sterile lid, secure lightly with a rim. Allow to cool about 10-15 minutes. The lid will pop down. When the jars have cooled enough to hold in your hand (about 30 minutes?) turn right side up. Remove the rims and clean off any jam that may have leaked out. Replace the rims and label with the date made and fruit used. When you make bread, make a little more dough (a pound or so) than you need for your loaves and turn it into an astonishingly delicious cinnamon-nut sweet roll the Germans call schnecken (snails) because of the spiral shape they have. The amount of the ingredients given in the recipe is approximate because making schnecken is typically done by eye: a coating of butter, a layer of brown sugar, a dusting of cinnamon, a good sprinkling of chopped nuts. Prepare the pan with butter, brown sugar, cinnamon and chopped nuts. Generously coat the inside of the baking pan with melted butter (if you are trying to redue cholesterol, you can use 1:1 butter canola oil blend). shake cinnamon on top of brown sugar layer to desired intensity. pan ready to receive the schnecken. “Dress” the rolled out dough, roll into a log and cut into slices. Distribute chopped nuts over brown sugar layer. Roll up the dough tightly by pulling on the roll as you roll it over. Pinch the end of the dough to the log to seal. Cut log into 3/4th inch pieces. Seven pieces fit perfectly into a round pan. Pieces loaded, ready to rise. Distribute evenly in a 360 F oven. Bake about 25-30 minutes for schnecken, 30-35 for the bread. After 30 minutes, the top is firm and shows signs of toasting. It sounds hollow when you tap the bread surface. While still very hot, invert on a plate and tap to release the schnecken. The bread and the schnecken are cooling on a rack to allow the steamy moisture to dissapate.